Another entry in a long line of mobile suits descended from the Earth Federation Forces' first mass production mobile suit, the RGM-79 GM, the RGM-86R GM III is introduced during the First Neo Zeon War in UC 0088. Unlike the RMS-179/RGM-79R GM II, which is only a minor improvement over the original GM, the GM III is a major improvement, incorporating a more powerful reactor, better sensors and armor, and a 37% increase in thruster speed/acceleration (thanks to a backpack design based on the one used on the RX-178 Gundam Mark II). 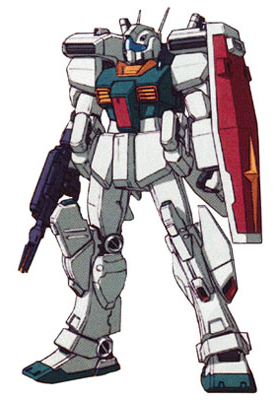 The GM III can also be fitted with a variety of missile launchers, giving the mobile suit a much more flexible mission role as either a close-combat or fire support unit. 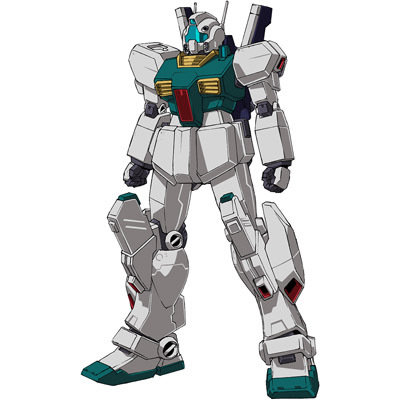 The GM III design proves to be a major success, and the model remains one of the Federation Forces' mainstay mobile suits for several years, seeing action in UC 0093's Second Neo Zeon War and well into the modern era.